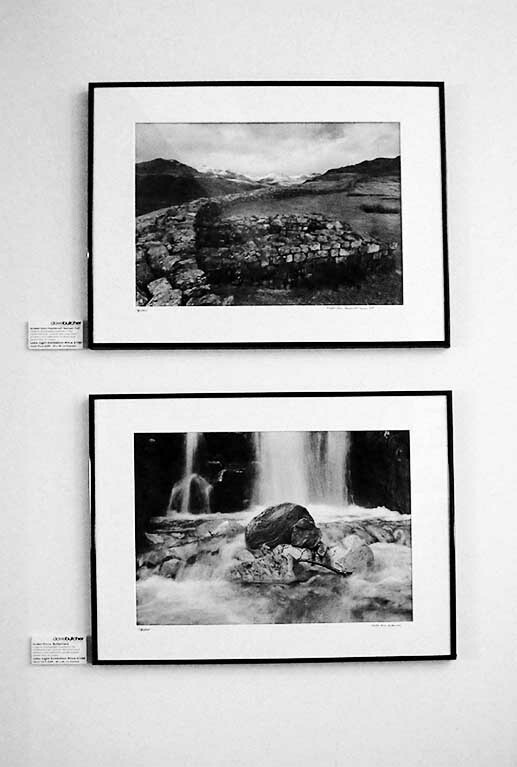 Here are some pictures of my Lake Light exhibition at the Woolpack Inn in Boot in Eskdale (taken by Emma Aylett of Travelling Curators who organised and hung the exhibition as part of the Lives in the Landscape exhibitions in Eskdale and Ravenglass). It is on display until the 31st October 2012. 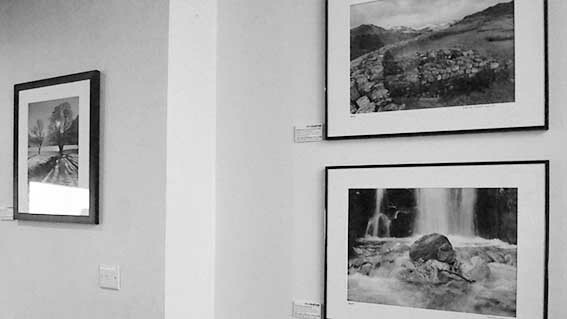 There are 23 traditional hand-printed archival framed black and white photographs in total, so lots to see. We will be there from the 2nd to the 5th October (running a photo course based at the Woolpack but taking in Eskdale, Wasdale and Ravenglass) if you want a chat in the evenings. I will take my own shots then, maybe some wider views too if I can get in before the bar opens to the public! Most of the photographs are taken from my 3rd book, Lake Light, available through my web site, booksellers (quote ISBN 978-0-9555627-1-6) or Amazon UK.